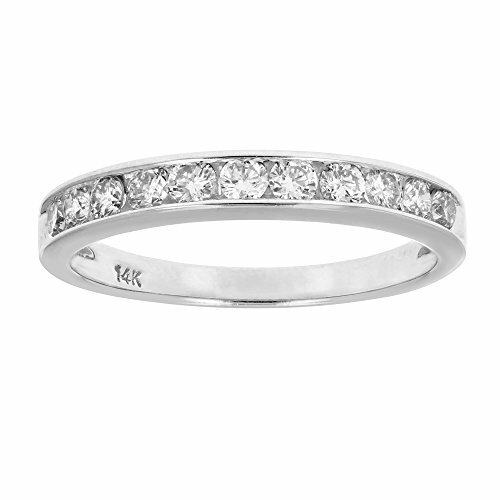 AGS Certified Gorgeous, elegant wedding band in 14K white gold with 1/2 ctw of 11 stunning diamonds in a channel setting. The diamonds are I1-I2 Clarity and H-I Color. Proudly handcrafted in New York City, USA. Natural diamonds. If you have any questions about this product by Vir Jewels, contact us by completing and submitting the form below. If you are looking for a specif part number, please include it with your message.